ATC is a global company that is active in all logistics areas around the LS (well, state today will be). Since logistics is a highly competitive market in particular, we would like to convince ATC of consistency, modularity and the widest possible range of services. Own development and is under our brand A.T.C. distributed. We gladly share our products with others to support their own developments. In this case, however, make sure that the ATC branding is completely removed! For further inquiries, we are of course happy to help. Like any company, we at ATC start with big plans and small steps. And so today we are able to present the first vehicle package of our offer. All functions of the trucks are visible in the F1 menu and can be operated completely via the keyboard. 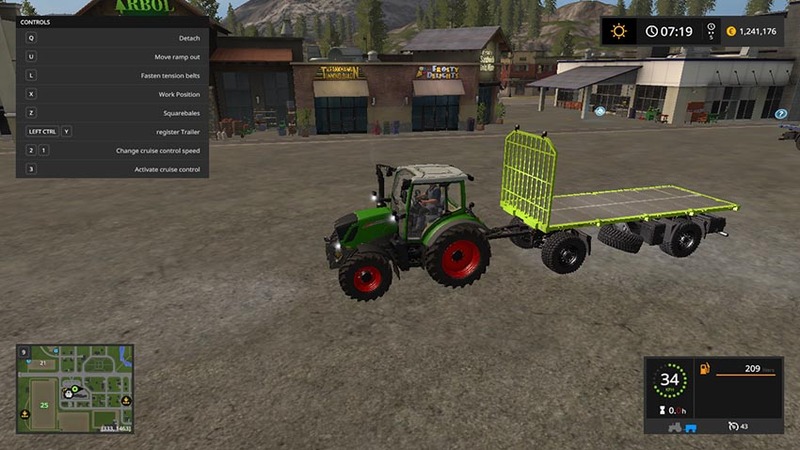 Since I do not use HD bales, I’ve changed the query for HD bales in palettes in the script and set the TG so that BigBags stacked in 2 levels can be loaded. The help text entries are changed accordingly. You have to be careful that there are no pallets in the area if you choose this option. BigBags fall into the category “Fillable Pallet”, so they would be loaded and then rumbles on Platau :). My logfile has no errors or warnings! 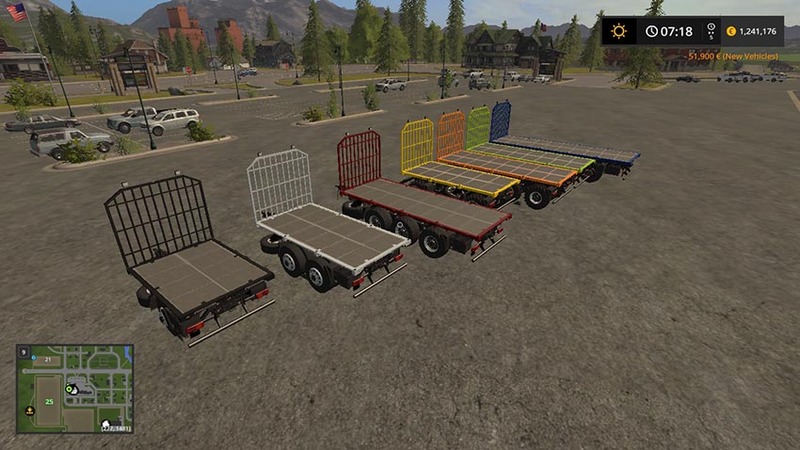 The pack will be available exclusively ONLY on ls-modcompany in the Filebase. I will publish on other sites, but everyone points out here. Do you find this mod elsewhere and the DL does not point here, it’s an illicit copy. In the case of own further processing and distribution, it must be ensured that the ATC branding elements are removed or replaced. If this does not happen, I consider that pirated and will pursue it accordingly. Scripts, models, etc., which I use in this mod, have the global release or are already freely available anyway. It is in my view, however, a matter of politeness to list or the creators in the credits. I would also wish the same of you, if you continue to build my things. That would be, I believe, all said. Praise (preferably), criticism (if need be), suggestions and questions you can go here in the forum. The thread here ATC Vehicle Pack is meant for that. 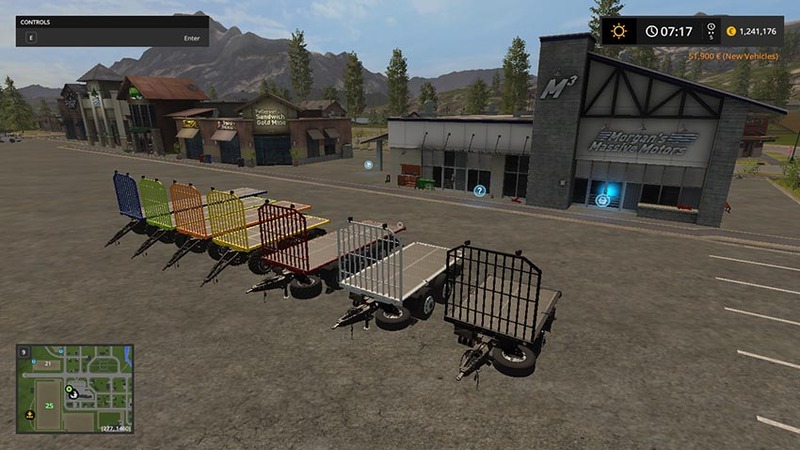 This update adds vehicles and handling equipment for containers. All other vehicles are still included and unchanged. ISO containers of sizes 10, 20 and 40 feet. The emergence of the vehicles in the pack have many of you yes in my thread to follow it. So let’s get straight to the point: what’s in it?